Need some hot stuff, baby, this evening? Look no further. The cast of Disaster! 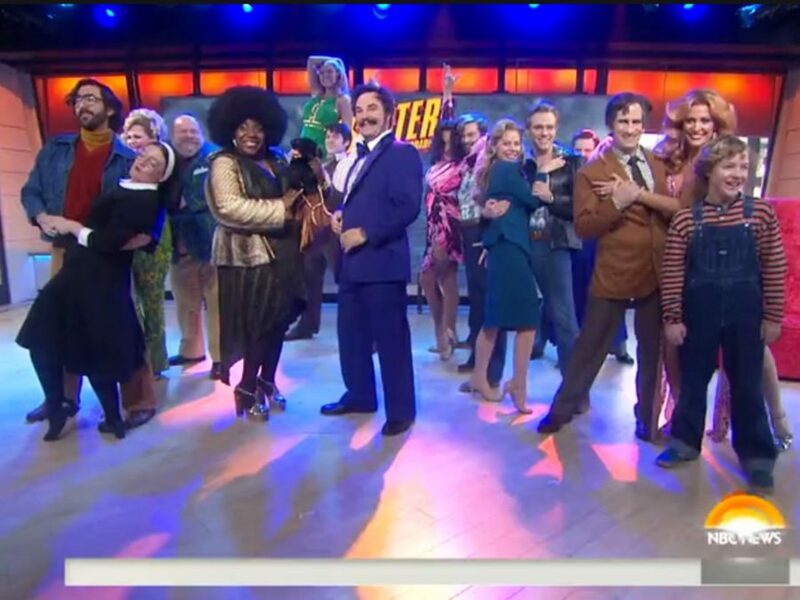 stopped by The Today Show this morning to offer up a earthquake/flood/piranha-free taste of the new jukebox musical. Watch Adam Pascal, Kerry Butler, star/creator Seth Rudetsky, Faith Prince, Rachel York, Jennifer Simard and more knock out a medley of some of the biggest hits from the ‘70s, including “Hot Stuff,” “Without You,” “Sky High” and “Still the One.” You can catch the glitzy gang at the Nederlander Theatre, where the musical comedy officially opens on March 8.